The saying "it is as much about the journey as it is the destination" is oh so very true and next time you decide to venture south via the Hume Highway, make sure you take some time to stop and smell the coffee. And I don't mean coffee from fast food joints, I mean expertly brewed coffee at one of these many hidden gems, that may just require you to take a little detour off the Hume Highway as you travel south through NSW to the state border. A) The car is full to the brim with people and luggage and you are on your way out of Sydney. Hopefully you can make it as far as the Southern Highlands before you need caffeinating. There are obviously numerous spots to stop, as the area is jam packed full of top notch eateries but these first 2 pit stops are maybe not so well known and they serve a damn fine brew in my humble opinion. 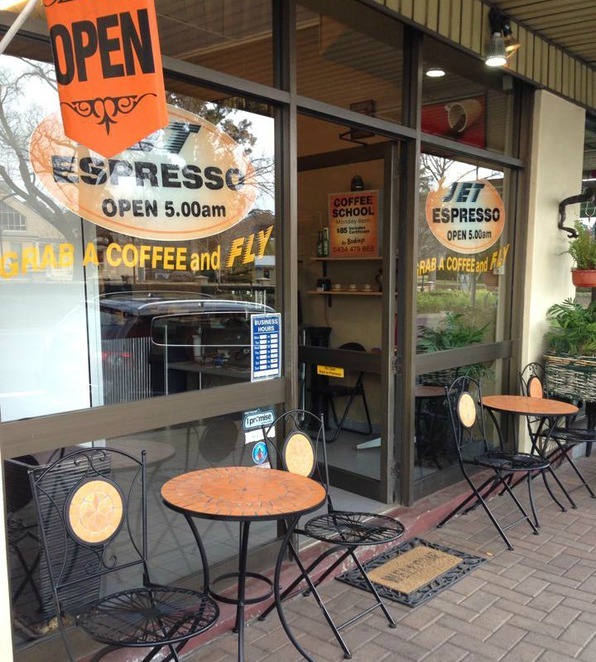 B) The Jet Espresso Coffee Bar in Mittagong is for the the crack of dawners - those of you who like to hit the road early and avoid all of the traffic. See this place opens at 5am and their motto is grab a coffee and fly. It's not the place to linger over breakfast, it purely exists to refuel you with caffeine and let me tell you the caffeine they brew is brilliant. Jet is located on the main drag of Mittagong at 73 Old Hume Highway, they open daily at 5am and close at lunch time. 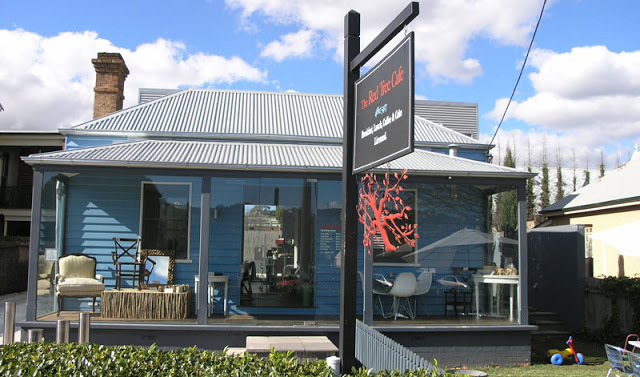 C) If you have arrived in the Southern Highlands in time for breakfast then head for Bowral and the Red Tree Cafe. This fabulous cafe is located off the main drag in Station Street (no. 52). If you are travelling with kids they will love the toys, babycinos and yummy kids menu and as an adult you will love the gourmet food, brilliant coffee, clean toilets and the fact that your kids are happily occupied. They are open 7 days, 8am - 4pm. D) As you are hooning down the Hume you may have noticed a sign to "Historic Marulan" make sure you don't fly past this turn off as there is an excellent (and award winning) cafe called the Meridian Cafe. They cater for kids, vegetarians and coeliacs and you can just have a simple toastie or something more fancy like a Meze Plate. The cafe is open from Thursday - Monday 8am - 3pm and is located at 85 George St, Marulan. E) Next stop is Goulburn - home to the Big Sheep and loads of police. In case you didn't know the NSW Police force have their training facility at Goulburn and they have been known to use the Hume as a training ground for new constables to catch speeding drivers, so make sure you slow down and detour into Goulburn to check out the Greengrocer & Cycle Cafe on Clifford St at number 37-41. You can stock up on supplies for your journey as they have loads of fresh produce, you can have breakfast, lunch or just a sweet treat and if by chance you need something for your bicycle, you can even purchase that in this unique cafe/store in the back streets of Goulburn. Open 7 days for breakfast and lunch. F) Gunning is a cute little town located a few kilometres off the highway. 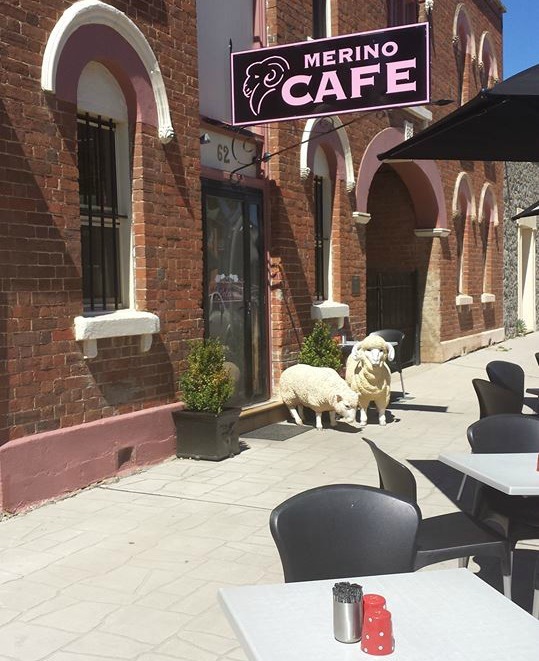 It is smack bang in the middle of sheep country so it is only fitting that the cafe in town is called the Merino Cafe! 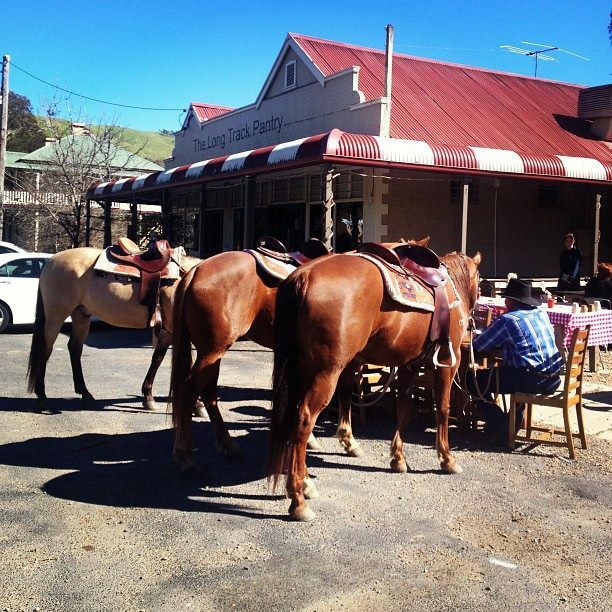 The cafe can be found at 62 Yass Street in Gunning and it serves delicious country fare and is open for breakfast and lunch 7 days. It's amazing that such a small town (the population is around 500) has such a delicious little cafe so make sure you take some time out of your journey to support this little gem. G) The next pit stop is in Yass. Once upon a time you always had to drive through Yass en route south and then the people in charge of roads decided to detour it and erect a massive Maccas on the outskirts of the town. By all means if you like sharing your pit stop with every other man and his dog on the road, stop in here. 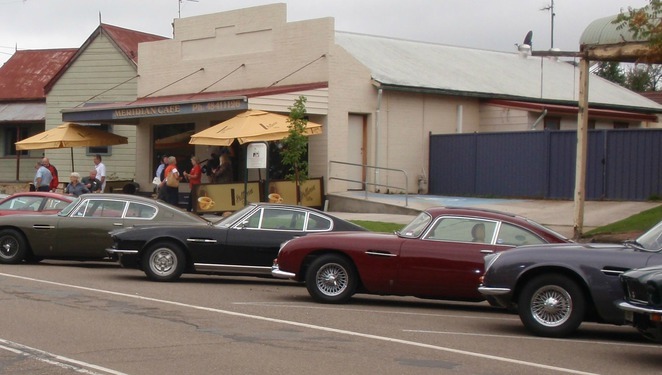 If however you prefer something a little more upmarket, then actually go into Yass as it is one lovely little country town and it is also home to the fabulous Kaffeine 2582 cafe and boutique. The staff at Kaffeine know a lot about caffeine and brew an amazing cup of Joe. They also create some very tasty food and whilst you are waiting for your meal to be prepared you can wander around their shop and look at all of the gorgeous clothes, jewellery and giftware that is available for purchase. H) You may not of heard of Bookham, it's only a tiny village about 30km west of Yass. Only about 200 people live in this little village and they are they are so lucky to be able to enjoy their daily caffeine fix at Barneys of Bookham. There is both indoor and outdoor seating and you probably should try one of their burgers, made the delicious old fashioned way. When you drive through Bookham, Barneys will be shining brightly at 20 Fagan Drive. They are closed on Tuesdays and open for breakfast and lunch as well as everything else in between every other day. I) If none of the above have appealed to you so far, or you are an extraordinary traveller with an amazing bladder, then try to make it as far as Jugiong. This quaint little village is about 3.5hrs from Sydney and home to the Long Track Pantry. This place is a foodies paradise, besides the wonderful cafe food on offer (and brilliant coffee) they have a shop stocked full of delicious products made in-store. Jams, relishes, pickles, sweet treats and more are all available and make the ideal hostess gift in case you are going to be staying with friends or relatives at the end of your journey. You will find the Long Track Pantry on Riverside Drive in Jugiong and they are open from 8am - 4pm every day except Tuesday. J) We've probably all stopped in at Gundagai on our travels along the Hume. It's home to the iconic Dog on the Tucker Box after all. 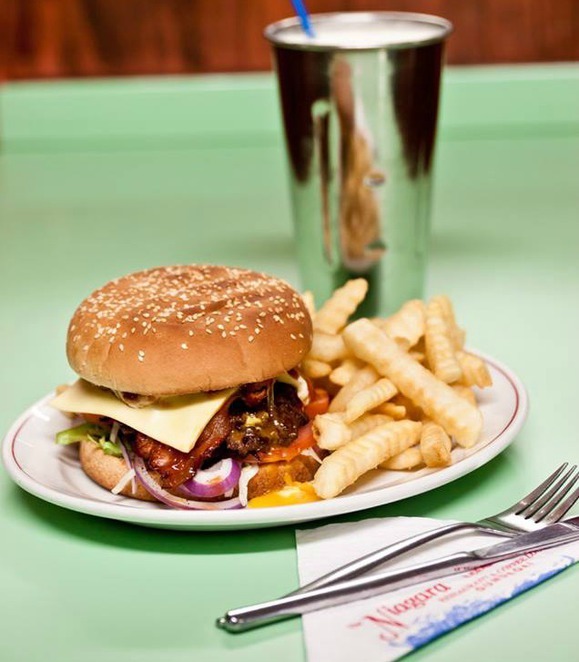 Niagara Cafe is another iconic institution in Gundagai. This art deco diner will transport you back to another era as all of the original features of the diner are still intact. It's actually more about the shakes than the coffee at the Niagara Cafe - their creamy malted milkshakes are pure bliss and their burgers are damn fine as well! You will find them at 142 Sheridan Street and they are open 7 days for breakfast, lunch and dinner. K) Once you have hit Holbrook you have reached some serious farming country, so it's quite amazing that a submarine is parked in the local park when the closest water is quite a few miles away! 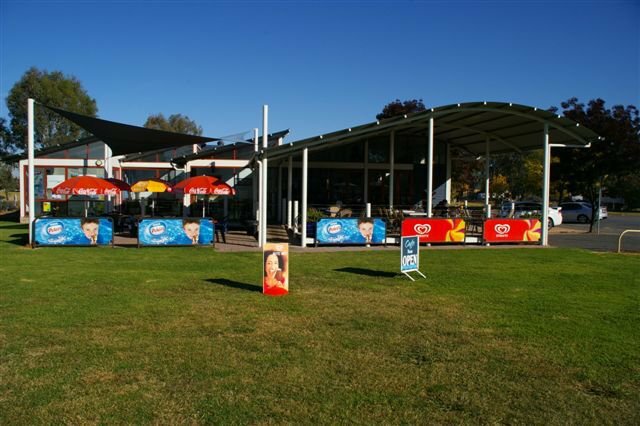 The Submarine Cafe is also located in this park, which is a bonus if travelling with kids or four legged fur babies as they can go for a good gallop and burn off some energy whilst you enjoy a coffee sitting outside the cafe. The owners pride themselves on offering travellers fresh and delicious food, very clean amenities and fast customer service - everything the road tripper needs. The cafe is open 8.30am - 5.00pm daily and can be found on Raymond St in Holbrook. L) Ok so you are almost there - the border between NSW and Victoria. You've probably been driving for a good 6 hours by now, so you will be in desperate need of a good brew and some amazing tucker and your go to place in Albury is The Proprietor. 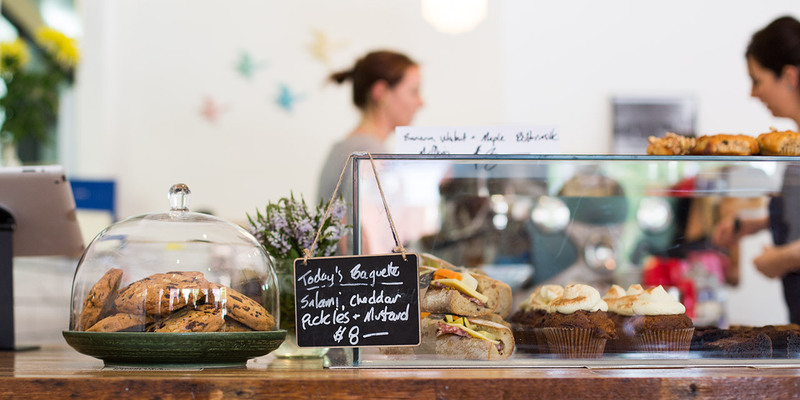 This fabulous cafe could be at home in any Sydney Hipster suburb. You won't find any hipster attitude here although, just brilliant gourmet fare and perfectly brewed coffee served with a dose of good old fashioned country hospitality.The cafe is located at 459 Townsend Street, Albury and they are open Wednesday-Friday 7:00am - 4:00pm & Saturday/Sunday 8:00am - 4:00pm. 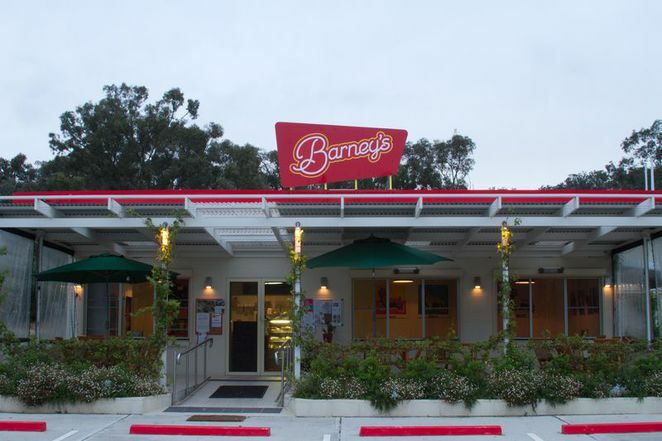 Hopefully some of these pit stops have made your road trip South more enjoyable. If you prefer to go North on your travels make sure you check out the Pit Stops Along the Pacific Highway.